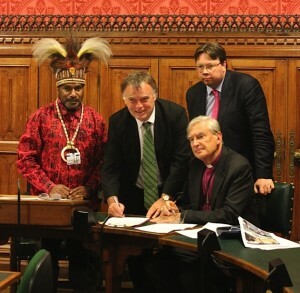 We are delighted to announce the re-launch of the All Party Parliamentary Group for West Papua. Comprised of British MPs drawn from every political party, this group will hold regular meetings, discussing the political status of West Papua. 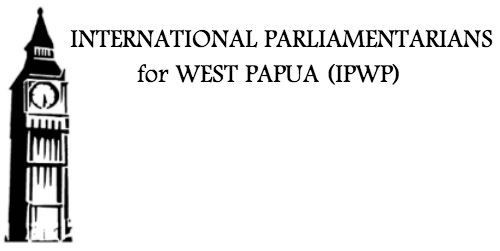 The All Parliamentary Group for West Papua is chaired by Rt. Hon Andrew Smith, Labour MP and founder of International Parliamentarians for West Papua. The first meeting of this year’s Parliamentary calendar will take place on Wednesday 16th October from 5 till 6pm in the Houses of Parliament. SELF DETERMINATION: The West Papuans are calling for a new vote, which meets recognised international standards, in the form of a new UN-monitored independence referendum. DIALOGUE: The West Papuans are calling on the Indonesian Government to enter into internationally-mediated dialogue, without pre-conditions, with genuinely representative West Papuan leaders. Indonesia has to date refused. ACCESS: The Indonesian Government severely restricts access to West Papua for foreign journalists and international human rights observers, including Amnesty International. DE-MILITARISATION: As a first step towards peace, West Papuans are calling on the Indonesian Government to halt all planned increases of its military (TNI) presence in West Papua and immediately withdraw the TNI, para-military Police (Brimob) and intelligence agents (BIN) to their barracks’. This would be a hugely important first step to reducing the currently highly charged and tense situation in West Papua. As Ms Hina Jilani, UN Special Representative on Human Rights Defenders, stated on 28 January 2008 “A climate of fear undeniably prevails in West Papua”. FREEDOM of EXPRESSION: The Indonesian Government currently severely restricts West Papuans from exercising their rights to Freedom of Expression, Association & Assembly, particularly in relation to peaceful demonstrations in favour of independence for West Papua. In this respect, Indonesia is currently in breach of its obligations under the International Covenant on Civil & Political Rights which it signed in 2006.